The 2018 Swedish general election is scheduled for Sunday 9 September. 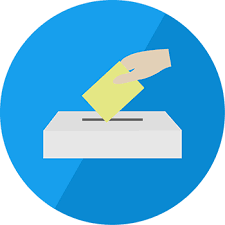 For expat Swedes in the UAE it is possible to vote at the Swedish Embassy in Abu Dhabi or at the Norwegian Seamen's Center in Dubai. See below for specific opening hours. Open for voting from 16 August until 2 September during the official reception hours of the Embassy: Sunday to Thursday from 9 - 11 am. Extra opening hours on the 28 August from 5 - 8 pm.